With the overabundance of models, designs, and brands available on the market, finding a decent shower system that fits your bill can be a little overwhelming. If you want to know what are the best shower systems – no matter you’re adding a new bathroom or remodeling an old one – this guide has the answer for you. 3 What to look for when buying a shower system? The showerhead doesn’t open which can be a problem in case of clogging and cleaning. 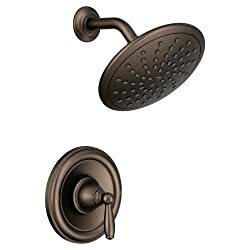 SR SUN RISE SRSH-F5043 features a stainless steel shower hold and a brass shower arm. Its 10-layer chrome finish is responsible for the sleek look. This shower system has been designed to deliver exceptional performance. 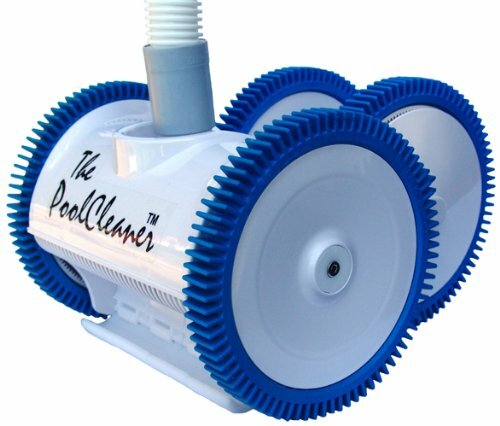 The air energy technology lets you provide you constant flower of water whenever the water pressure is low. Cartridge monitor is provided to protect the user from sudden cold or water pressure. The design is great for kids, adults and physically challenged elders. KOJOX shower system with high-pressure rainfall shower head is an ideal upgrade for modern bathrooms. The shower system consists of a 12-inch square rain shower head, a handheld showerhead, shower hold, and a water control valve. 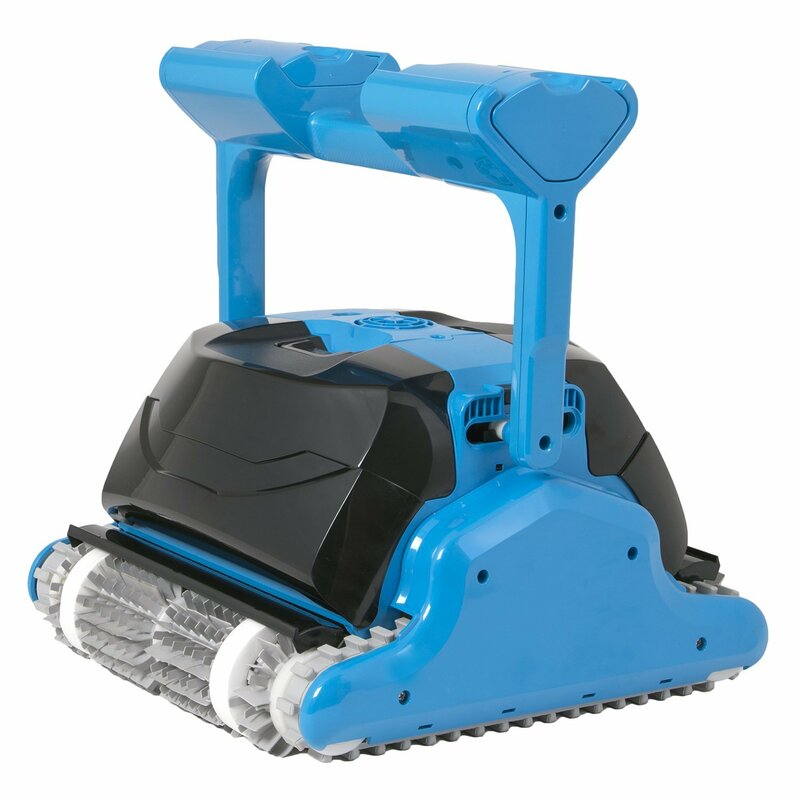 It operates with an innovative air injection technology that mixes water with air to increase the water pressure and create a natural rain-like impact. The best thing about KOJOX is its pressure balance valve chamber that constantly monitors the water pressure to protect the user from getting scald because of sudden changes in the pressure of hot or cold water. Delta Trinsic 14 series single-function tub and shower trim kit uses the H2okinetic shower technology to spray water into a unique wave. The water coverage is hence 3 times more than that of a standard shower head. It’s black matte design, and flawless accents make your bathroom look contemporary. The only downside is they are made from plastic instead of chrome. The H20kinetic technology gives the illusion of more water. To protect the user from sudden changes in hot/cold water pressure, a pressure balance valve is provided. The water flow is a little intense which doesn’t make it a great for kids use. 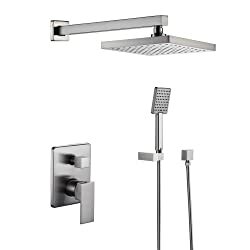 Delta Linden T14294-RB consists of a showerhead and a trim valve. You can enjoy a full body spray, full spray massage or a soft drench spray with this shower system. The showerhead features the H2Okinetic technology that sculpts water into a unique wave pattern. Whenever you desire a full coverage spray, set the shower to full body spray. The spray holes require low maintenance. 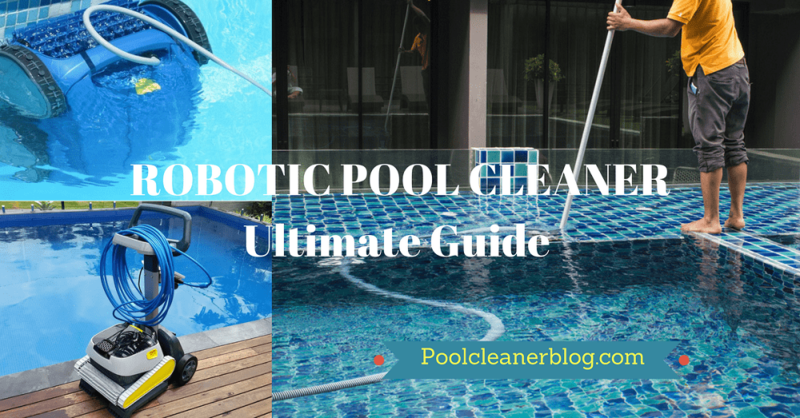 They are made from rubber that is very easy clean. With just a touch of a finger, you can wipe away the built-up calcium. 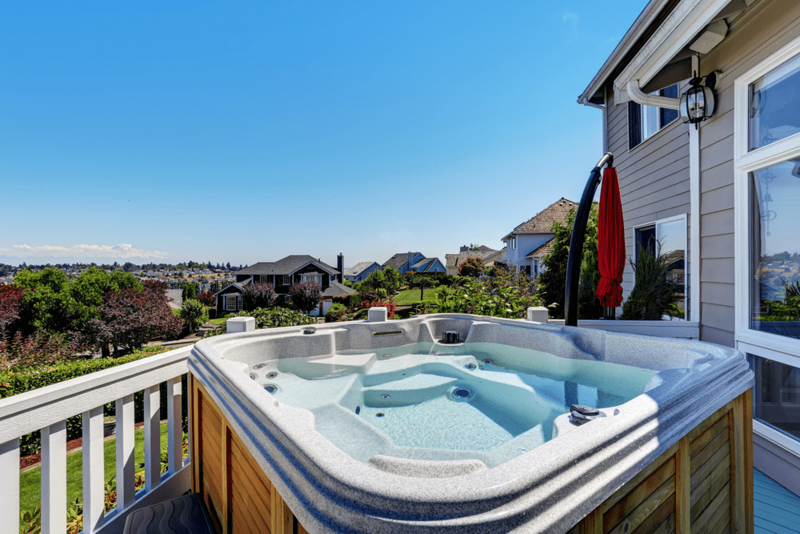 With the help of the pressure balance valve, you can keep the water temperature within a safe range. The Venetian Bronze’s hand-brushed finish is a nice look for a change. 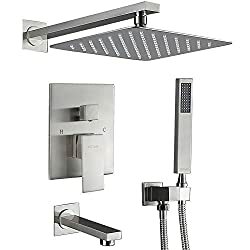 This stainless steel constructed shower system consists of a LED shower head and handheld shower. If you want extra water pressure, you can turn on both of them at the same time. The pressure coming from the shower head doesn’t change. The main shower has LED lights in its nozzles so you can turn off the bathroom lights at night to create an illuminating effect while you enjoy the waterfall or rainfall shower. The multi-outlets switches let you control the water effects. 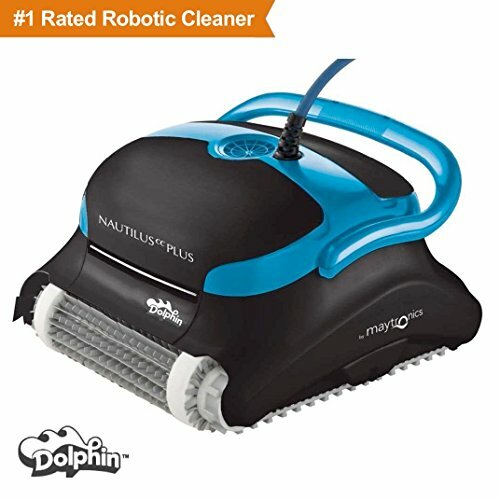 4 adjustable jet nozzles are provided to offer you a power mist massage. This shower system has everything a user desires from looks to great functionality. EMBATHER Shower System is one of the systems that can make you feel great whenever you come out of the shower. It has an elegant design that can fit in just about any bathroom and completely change its look. The kit includes a brass handheld showerhead, a 12-inch fixed showerhead, shower arm, shower hose, shower holder and a control valve. Even though the water pressure is great, it doesn’t produce any noise. 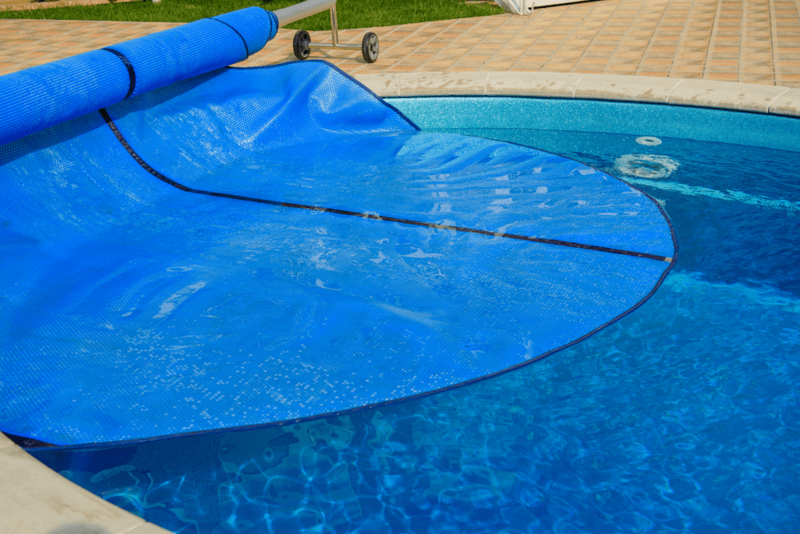 The air injection technology lets you save 30 percent water. If you live in a low water pressure area, this shower system is a perfect solution. It’s easy to install and use. There is even a safety handle system for the elderly who always have a fear of slipping. 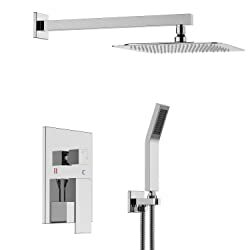 Esnbia Shower System includes a 10-inch square rain shower head, handheld shower head, shower arm, shower hose, shower holder, tub spout and a water control valve. The kit has everything you need. If you ask what are the best shower systems composed of, this is your answer. Stainless steel, brass, and brushed nickel finish don’t just look sleek but add durability too. If someday you feel like soaking your body in the bathtub, then the tub spout is at your service. However, it may take longer than usual to fill the bathtub since the faucet is small. All thanks to the large square rain shower head, you will enjoy a consistent water pressure even under low-pressure circumstances. This brass shower system includes a rain shower head and shower arm, shower bracket holder, and a pressure balance shower mixer valve. The shower head features air energy technology to provide a consistent and powerful rain shower even under low water pressures. Its design is luxurious which makes it a great shower system for bathroom remodeling. The brush nickel finish does just look sleek, it is durable too. Some customers have complained about tricky installation and poor water flow since you often have to rub your fingers on the water holes for maximum flow. This can be frustrating. 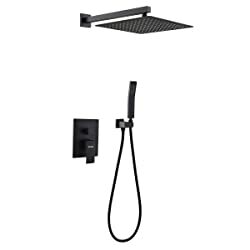 The shower package includes a valve trim, a showerhead, and a shower arm. The style is traditional, but it’s perfect if you want to create an antique look. The 8-inch eco-performance rain showerhead may be smaller than the ones we have reviewed above, but it is water coverage is still nice. The water flow feels a little slow in the beginning, but it will increase in a while. 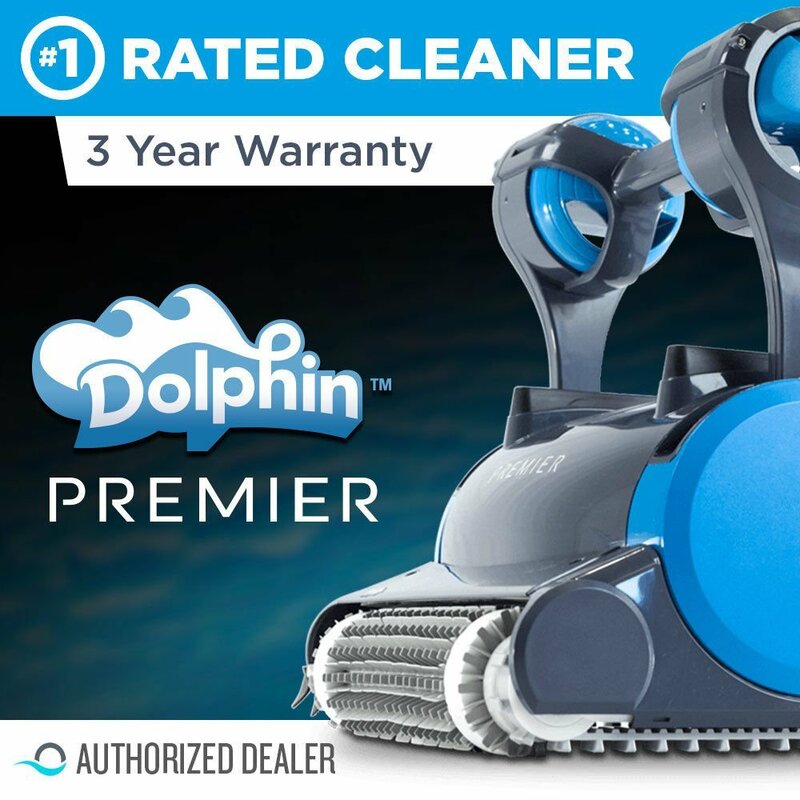 It’s paired to operate with a PosiTemp valve that delivers a generous water flow however, it is sold separately. You can even predetermine the hottest temperature setting for your valve before installation. Pretty cool, right? 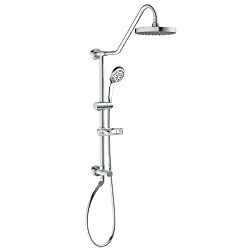 KES XB6223-2 Shower System includes a faucet body, hand shower, arm, and a flange. The design is rather simple, but it’s very functional. It’s even safer for kids to operate. You won’t have troubles installing it. The shower head has a rotatory joint that you can adjust at any angle. 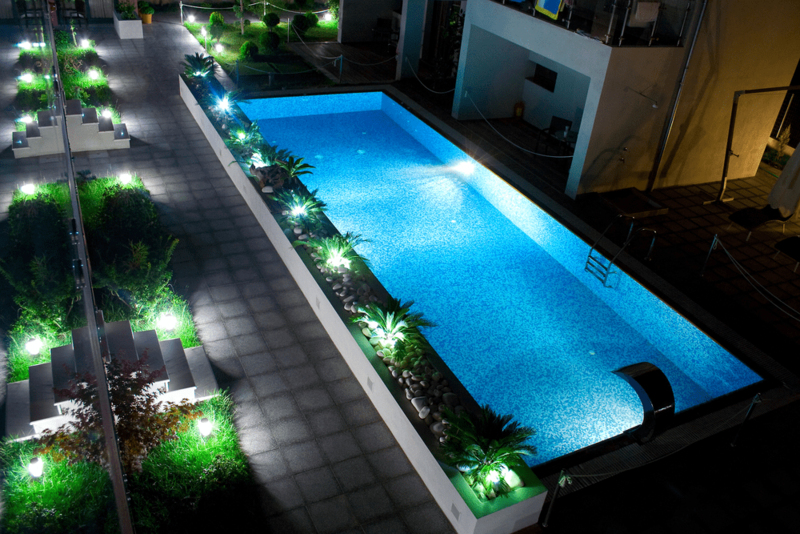 The water flow becomes energetic due to the injected air technology. The pressure balance valve ensures that nobody gets hurt because of sudden changes in water temperature. Delta Linden 17 series dual-function tub and shower trim kit stainless steel look is a striking addition to any bathroom. The In2ition two-in-one showers let you spread water wherever you need by using both the showerhead and hand shower together. You can adjust the feel of the shower from the 4 spray settings. For full coverage, choose the full body spray and enjoy the pulsing massage to relax your muscles. There is even a pause function that lets you perform shower tasks like lathering or even shaving. The touch clean spray holes have made cleaning easier than you can imagine. PULSE ShowerSpas 1011-CH Kauai III retro-fit shower system will be a nice addition to your bathroom. 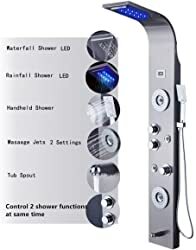 It consists of an 8-inch showerhead, 5 function hand shower (which is pretty cool), adjustable slide bar and a soap dish. Great news is that it can easily retrofit your existing shower and there is no need for a remodel. All you have to do is connect it to your water supply at your showerhead location, and it’s ready to use. The showerhead produces water in rain style. You can even use the showerhead and hand shower together. They are quite efficient. They only heat the water when in use which means you won’t have to worry about wasting hot water. They only need the cold water supply to function. They are compatible with all water pressure systems. Even if your boiler is not working, you will still get a hot water supply. A mixer shower takes water from both hold and cold water reservoirs to produce an optimal water temperature. It offers a quicker water flow as compared to electric showers. You can also install a pump with the shower but it’s optional. A thermostatic valve is used for controlling and adjusting the water temperature. These showerheads are very efficient in enhancing the flow rate of the low-pressure system. The shower works with an electric pump to deliver a power packed performance. It does not produce hot water itself, you will need pre-existing heated water. Shower panels offer a multitude of different functions. They consist of a shower head, a handset with body jets and a thermostatic panel to let you control the water flow. They are compatible with pumped water systems, heating systems, and combi boilers. They are simple to install, and they add a touch of luxury to your bathroom. 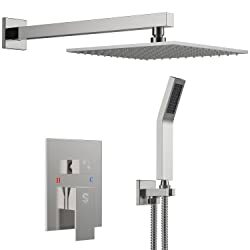 What to look for when buying a shower system? Type of shower head: As you may already know, showerheads can be handheld or fixed. A shower system may come with both or one of them. Fixed showers are available in single, two and three handles. Handheld showerheads, on the other hand, are usually connected to the wall of the unit through a flexible hose. A handheld shower is recommended if you have kids, pets or adults in the home with mobility issues. 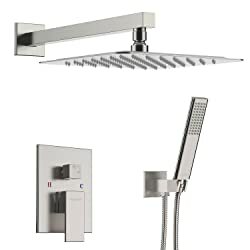 Choose the type of shower head depending on your personal needs. Water considerations: It is important to determine your water consumption. A standard shower faucet uses 2.5 GPM of water. With a custom faucet, you can expect to get 12 to 15 GPM or even more. Determine your total output and then choose the valve accordingly. Low water pressure concerns: If the area where you live has low water pressure, you will need a large shower head. They provide extra coverage and make you enjoy the bath. You won’t have to worry about rinsing the shampoo out of your hair because there wasn’t enough water flow. Material and finish: Shower Heads are mostly made from metal, brass or plastic. 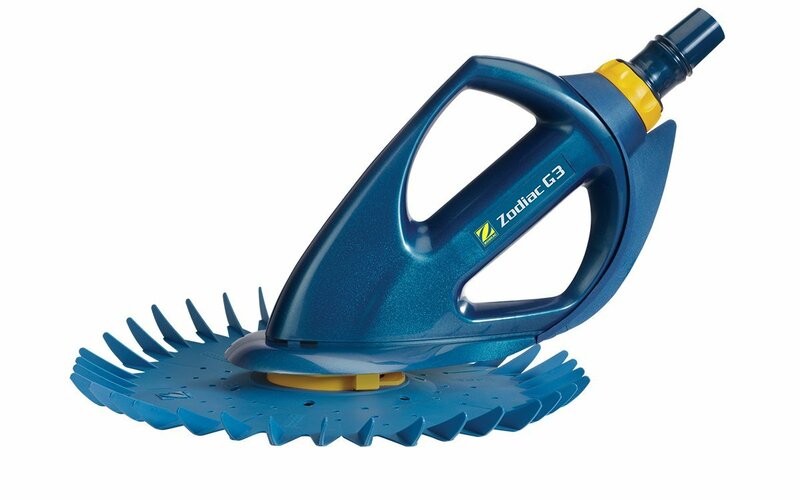 It is recommended to avoid the ones made from plastic not just because they are less durable but because they require extra cleaning and maintenance. When it comes to finishing, the most popular option is chrome. You can also choose from antique brass, copper, brushed nickel or oil rubbed bronze. Spray pattern: Look for a shower system that has an adjustable spray pattern. Usually, shower heads come in a targeted pattern, drenching spray pattern, and wide coverage. Targeted pattern produces a sharp spray which is best for sore muscles. Drenching spray is ideal for rinsing shampoo from your hair. Wide coverage is ideal for daily use and creates a drenching rain-like effect. This guide should help you get well-equipped with all the necessary knowledge to purchase a shower system that fits your needs and give a new look to your bathroom. Last but not least, after you find your ideal shower system, make sure to shop around to get the best deal.